King Cake is the traditional dessert served during Mardi Gras. It is symbolic of arrival of the of the 3 Wise Men in Bethlehem to visit baby Jesus. 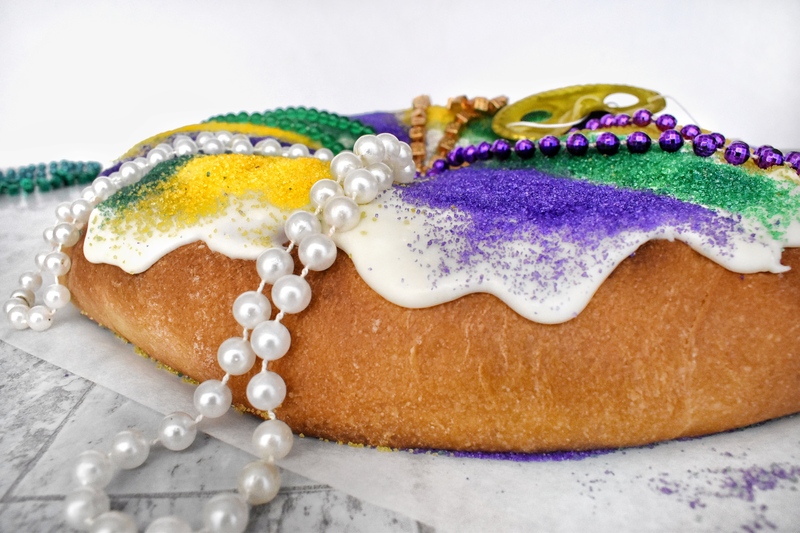 King cake is made with a rich brioche dough and filled with a sweet cinnamon cream cheese filling, topped with sweet glaze, and colored sanding sugar. King cake is topped with sanding sugar in Mardi Gras colors—purple, green, and gold. 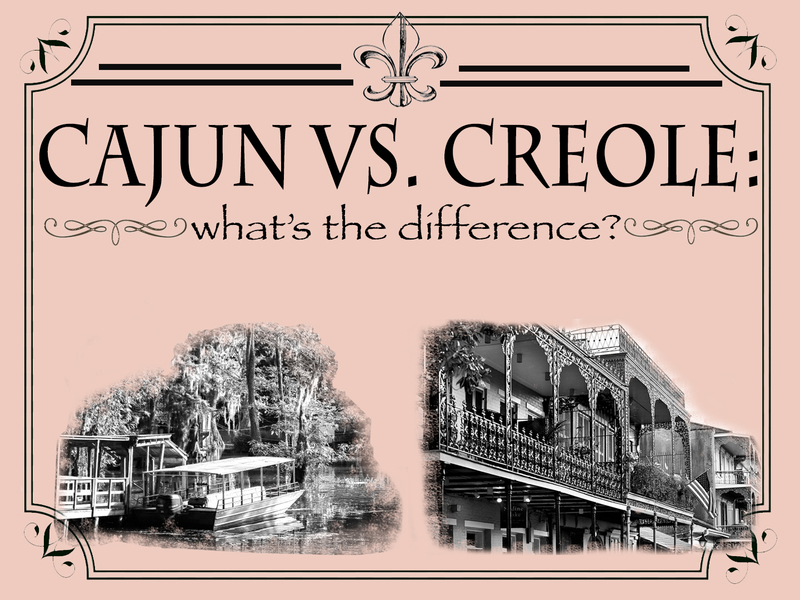 The colors represent the jeweled crowns the 3 Wise men or Kings that wore them—which is where the name “King Cake” comes from. The royal colors are significant: purple stands for justice; green is for faith, and gold is for power. Brioche is an extra rich yeasted dough, it has eggs and lots of butter to make the dough rich and moist. Classic king cake has a cinnamon cream cheese filling, however, you can fill your king cake with all sorts of things! I’ve done sweet cream cheese and chocolate, cherry pie filling, and even almond paste! In King cakes your typically hide a plastic baby (representing baby Jesus), or pecan, or even a dry bean in the bottom of the cake. Whoever finds the baby in their slice is “King” for the day and is traditionally supposed to bring the King Cake to the party next year! If you’re using a plastic baby the baby should be inserted after the cake is baked. If you’re using a dry bean or pecan you can hide it in the dough before or after it’s baked. 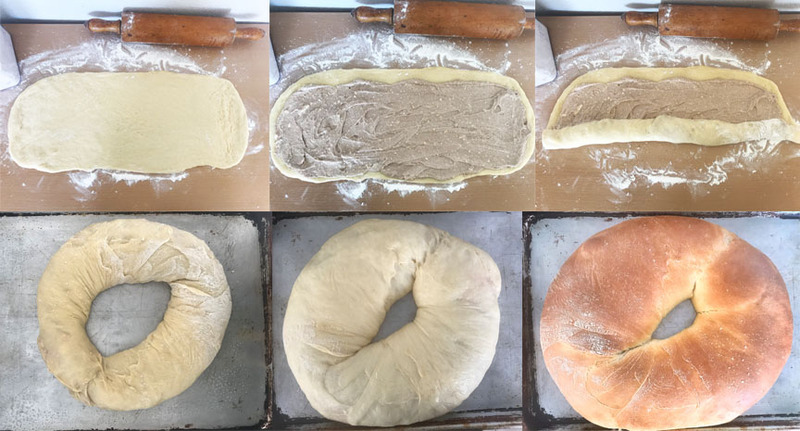 King cake is assembled a lot like you would cinnamon rolls, but instead of slicing the rolled up tube you form it into a ring. After forming it into a ring you let it rise again and then bake it! After baking, let it cool, and cover in a simple glaze and colored sugar. In a large stand mixer with a dough hook (if you don’t have a stand mixer you can use a large bowl) add warm water, yeast, and 1 tablespoon of granulated sugar. Let stand for 10 minutes until foamy. Add in remaining granulated sugar, milk, brown sugar, vanilla, egg, and egg yolk. Beat together on low until thoroughly combined. Add in salt and a little bit of flour. Mix together. Add in remaining flour and knead on medium until combined. Then knead on high for 4 minutes. Add in butter and continue kneading dough until dough is smooth and dough pulls away from bowl. It will take about 5-6 minutes. Place dough in a greased bowl and cover with plastic wrap. Place in a warm place to rise until dough has doubled in size 1-1 1/2 hours. While dough is rising make filling. And then continue to step 7 when dough has risen. Punch dough down and turn dough out on to a flour surface. Use a rolling pin, coated in flour, to roll dough out. Roll out into a rectangle ¼” thick, approximately 21” long by 9” wide. Combine cream cheese, butter, brown sugar, cinnamon until smooth. Spread filling over rolled out dough spreading filling about to about ½” away from the edge. Roll longwise into a tight swirl (like you would with cinnamon rolls) pinching the dough underneath to seal filling in. Form your long tube into a circle and pinch dough together to seal edges. Place on a large baking sheet and cover with plastic wrap. Let sit for 1 hour. Heat oven to 350 degrees. Bake uncovered for 30 minutes. Cake should be golden brown. Make glaze: mix butter and ½ cup of powdered sugar until smooth. Add in buttermilk and remaining powdered sugar, mix until smooth. Once cake is completely cool, insert plastic baby or bean into the bottom of the cake. Spoon glaze over top of cake. Top with sanding sugars, alternating colors. Slice and enjoy! I like to warm my slice up in the microwave for 8-10 seconds before eating!